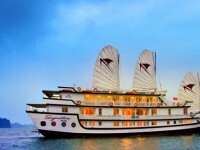 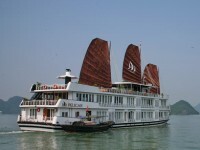 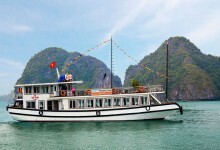 14.00: Arrive at Hoa Cuong area, one of the most beautiful corners of Ha Long Bay. Surrounded by majestic limestone mountains, Hoa Cuong presents to you a mysterious world with wild and gracious beauty. 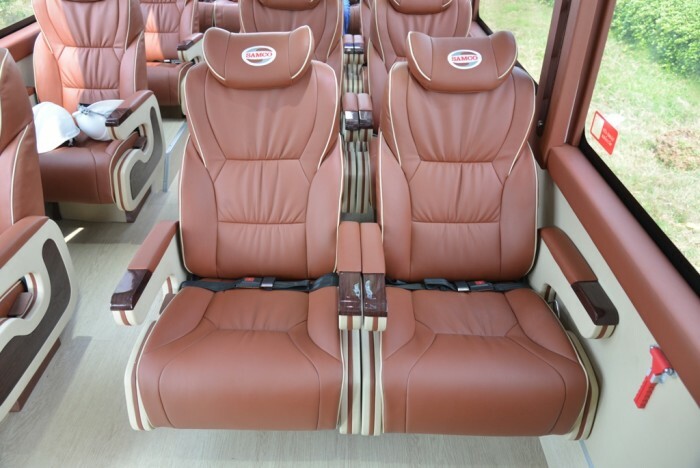 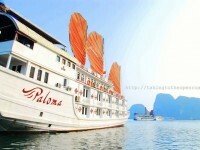 Just like a sleeping princess, it is waiting for you to wake up. 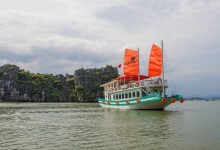 Especially, you will see an a beautiful limestone islet rising from sea water in the shape of a giant thumb, which is then called Thumb Rock. 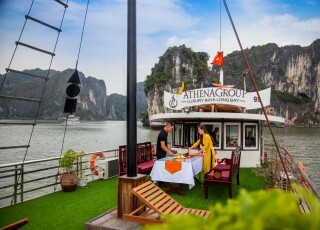 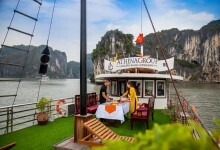 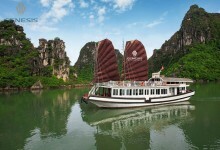 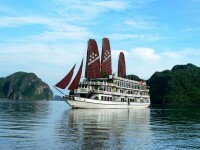 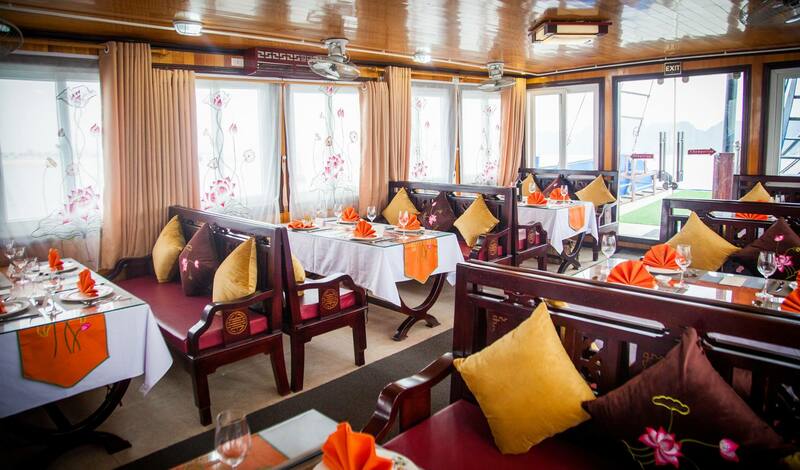 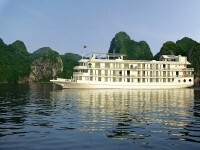 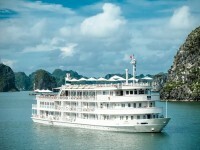 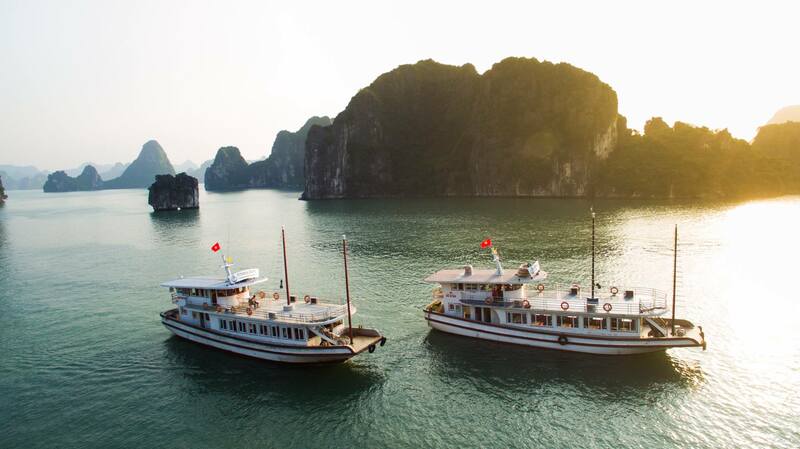 Mother Nature has put Thumb Rock here to send a message of goodness to every passenger cruising in Ha Long. 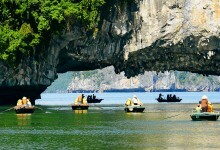 Camera should be well prepared to take amazing pictures of this place.